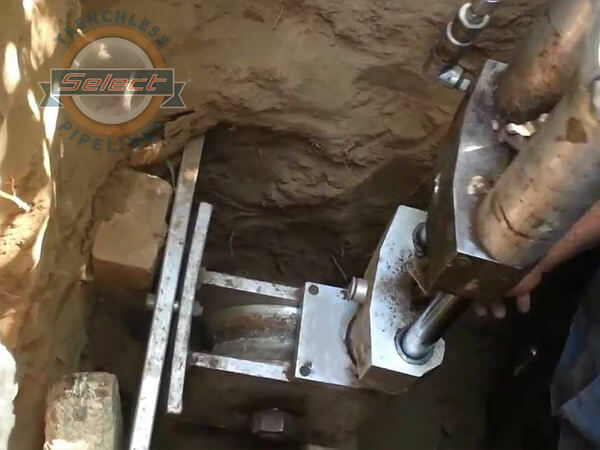 Trenchless Pipe Bursting | Select Trenchless Pipelines, Inc. Pipe Bursting is the ideal technique to use for the rehabilitation and replacement of utility lines such as gas, water, sewer, telephone, and power. 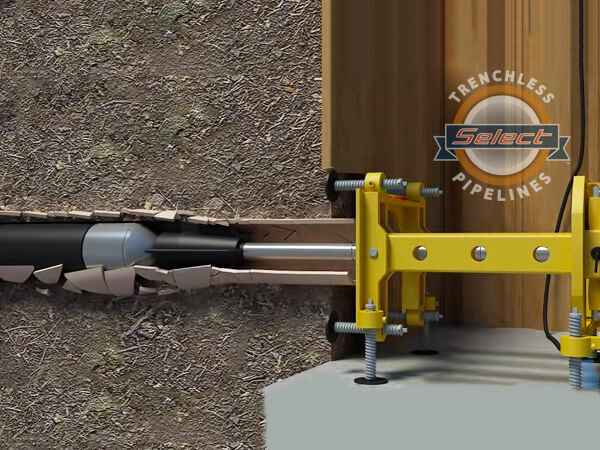 Pipe Bursting efficiently bursts clay, concrete, cast iron, and PVC pipe. 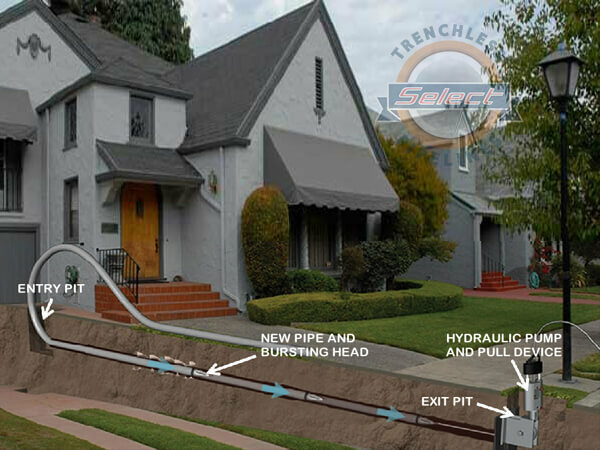 Pipe Bursting is the ideal technique to use for the rehabilitation of ageing utility systems located in congested areas such as municipalities, city centers, and manufacturing or industrial plants for several reasons. Pipe bursting involves using a winch to pull a heavy duty polyethylene pipe through an old pipeline of equal or smaller size. The old pipeline is shattered using a high-powered tool with special bursting heads that smash through the old pipe while pulling through the new replacement pipe. When pulled into the old pipe, the bursting head breaks the pipe into pieces, enlarges the hole and pushes the fragments into the surrounding soil. 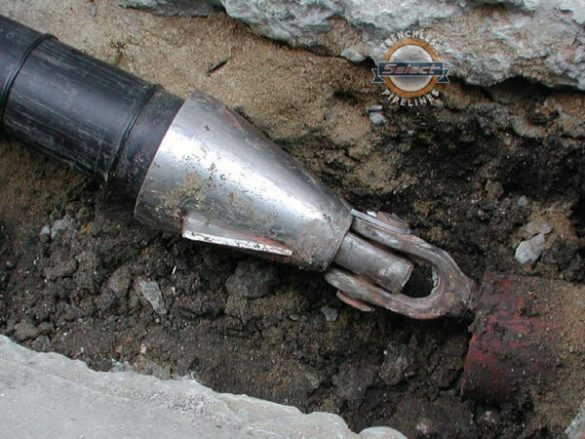 This limits pipe bursting to pipes that can be fractured and to soil conditions that will absorb the old fragments. Note: Pipe Bursting requires 2 access points. Pipe Relining only requires 1 access point.